Eight years after The Ring premiered, catapulting Japanese horror sub-genre and, more pleasantly, Naomi Watts into the public consciousness, Paramount Pictures has announced that a third installment in the series has been commissioned and will filmed in 3D. The original film, itself based on a 1998 Japanese film, Ringu, told the story of journalist Rachel Keller (Watts) trying to save her son (David Dorfman) from the effects of a cursed videotape which kills anyone seven days after they watch it. Hit the jump for more. 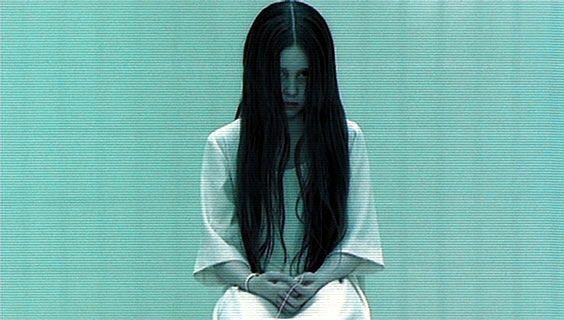 The sequel, Ring 2, seemingly closed the door on a possible sequel as Keller seemingly ended the curse by defeating Samara, a demonic child who favored homicide by videotape. The predictably titled Ring 3D, is set to be written by rising thriller screenwriter David Loucka (the upcoming Dream House) and will try to restart the franchise. HeatVision is reporting that the new film will likely be more teen-centric (read: inferior) than the previous two and may include “teens finding a VHS player that still works.” No other details are available but I would guess that a trip to Best Buy will be a central part of the plot. More on this film as it comes. In the meantime, enjoy Samara’s close-up.